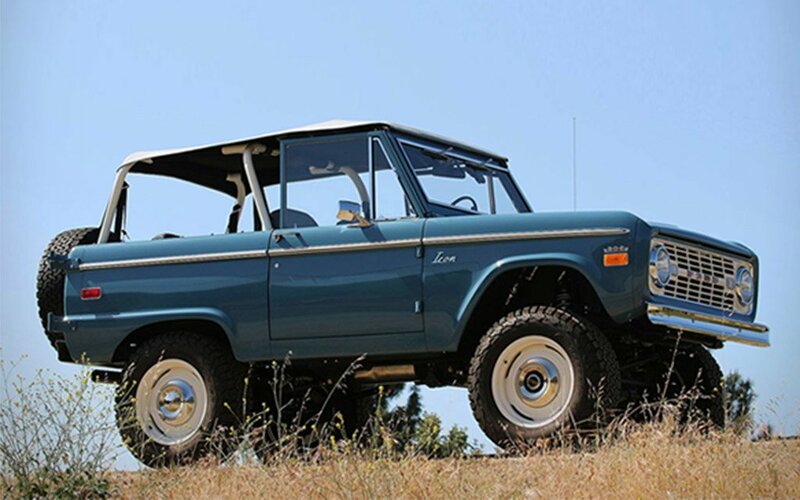 When we asked ICON 4×4’s Jonathan Ward to name his dream cars, the LA-based autohead returned a list on which the youngest is retirement-aged and the oldest is over 100. 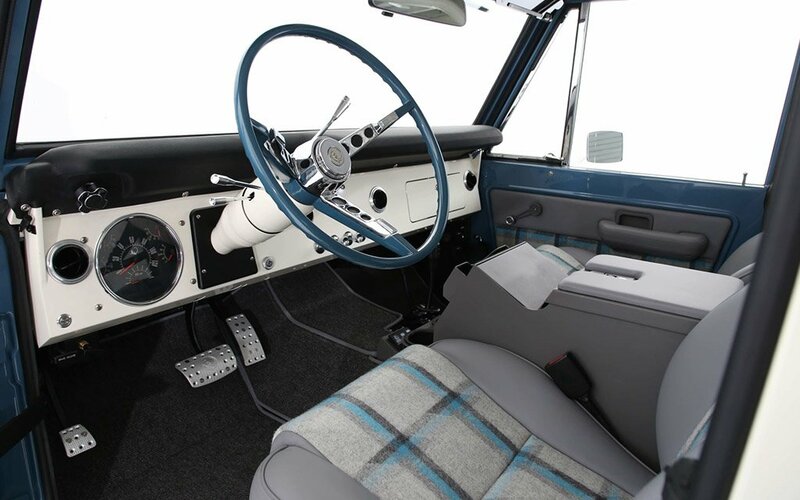 Ward likes things the way they used to make ‘em — a reason he so lovingly restores and modernizes iconic cars for a living; as of this writing, he had more than 400 custom car builds under his belt. 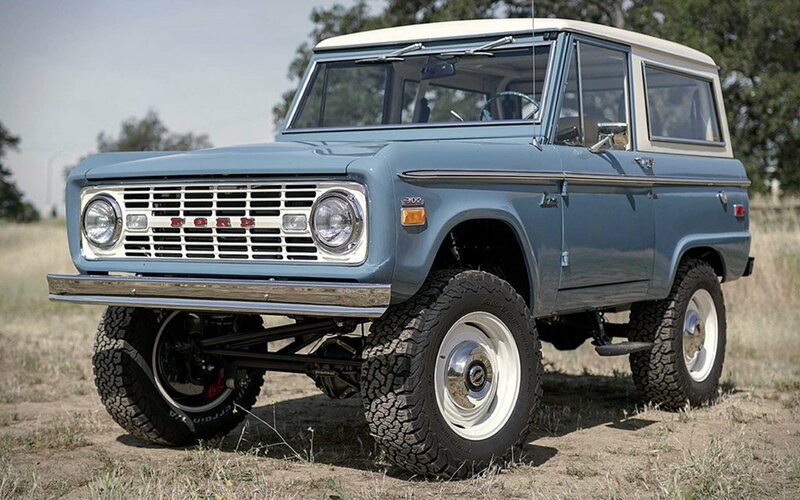 And while ICON already includes Broncos in their lineup of available restorations, they are celebrating 10 years in business with the launch of the Old School Series, a Bronco-exclusive collection that retains the ’60s and ’70s silhouette but makes some invisible and subtle upgrades elsewhere. And inaudible updates as well: ICON coats the floors and body parts in a heat-cured polyurea which dampens outside sounds and improves insulation. As for the other improvements? 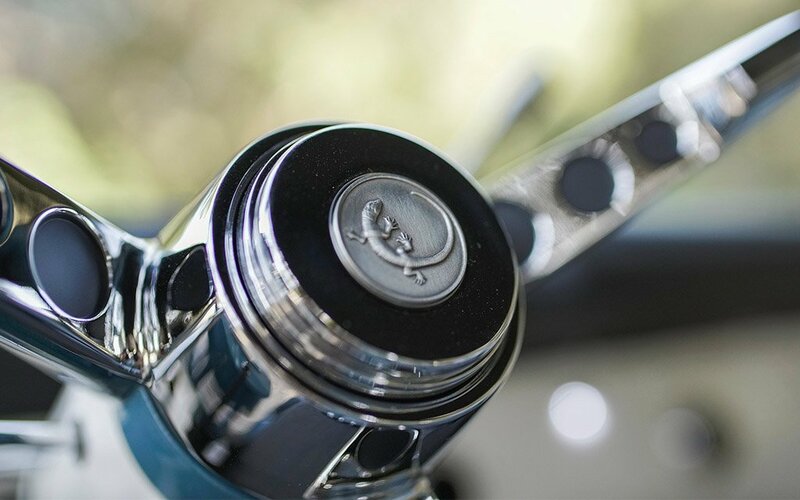 ICON has a rule against plastic parts, so you get stunning details like aircraft-grade lighting and vents, CNC-milled and enameled knobs and laser-cut trim. 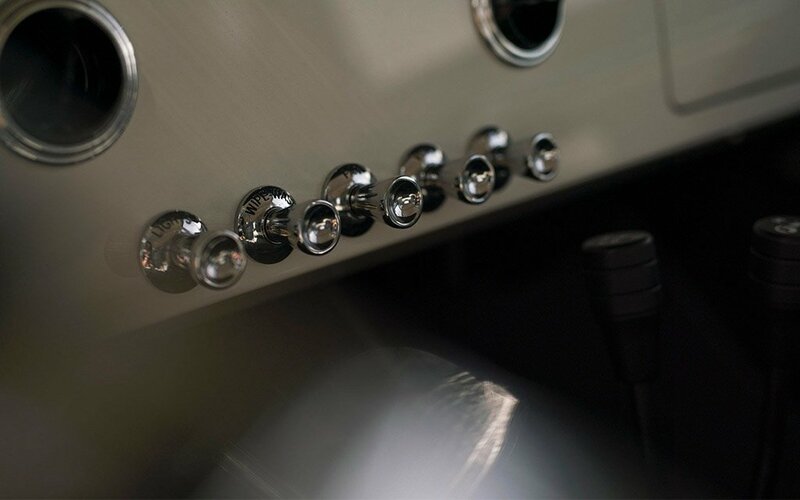 The lights are designed to look stock, but are in fact state-of-the-art LEDs. 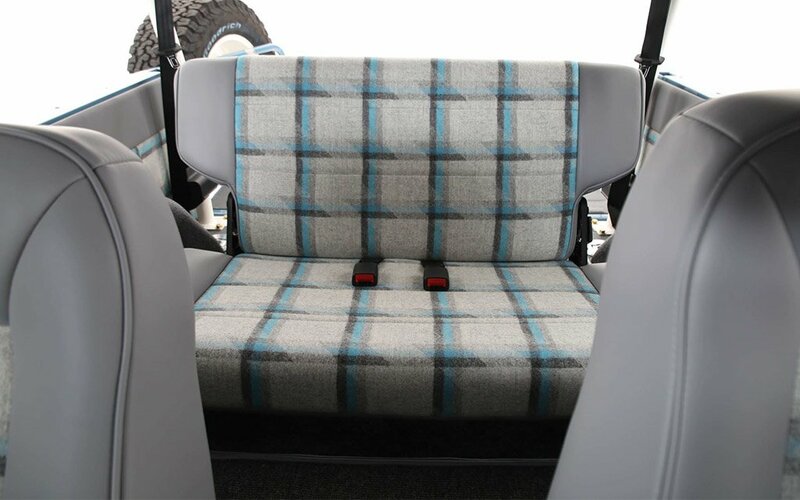 You can have a removable hardtop or not, or make it a half cab with a hand-tailored Mercedes canvas soft top. We know what we’d choose. And then there’s the guts of the thing: custom Art Morrison chassis, a 426-horsepower 5.0-L V8 Ford Mustang engine, and optional custom sport suspension and brakes. The only things you’ll need to acquire one? Lots of time and money, unfortunately. No financing is available, and depending on your requests and the availability of resources, the wait can be long for a build from ICON — though for the Old School Series, they’re purportedly as little as six months. But after that, you’ll have a handmade beast built to withstand extreme use, and possibly live on another 100 years after you’re done with it.